The Six Nations is going down to the wire after a weekend where all the favourites picked up wins. While a Welsh Grand Slam is still looking likely, there’s a lot to keep other teams very interested. The young Welsh wing is on his way to becoming a world-class winger and with the World Cup just a few months away now and Wales in great form, we will likely get to see a lot of him in Japan. Against England last week he played a key part in defusing the English kicking game that had caused Ireland and France so many issues in the opening rounds. He also managed to score a great try that showed off his aerial skills. Against Scotland this past weekend he opened up Wales’ account with a really nicely taken score. He was one on one with the Scottish full back and the best known defender to humankind – the sideline. But in just a 5m space he was able to sidestep the full back, stay in play and finish the move nicely. He’s a powerful runner and is confident with both ball in hand and in the air making him a key part of the Welsh back three. If he keeps learning and doesn’t lose that confidence then he is going to be a threat that every defence coach has nightmares about. As Wales racked up their 13th victory in a row and came within one more win of Warren Gatland’s third Grand Slam (a record if it happens), there was a lot of talk about how they are able to restrict sides to scoring so few points. 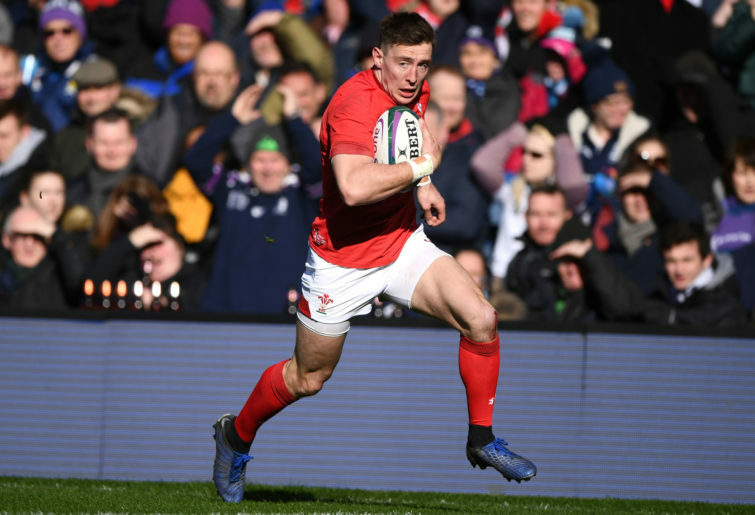 A game against Wales doesn’t usually turn into a slugfest with each side trading try after try in the desperate hope that they’ll score that one more to get the win. Some of Wales’ best wins in the past 12 games have been low-scoring, tight affairs. So while they do have attacking weapons – just read about Josh Adams above – it’s their defence that is causing opposition teams so many issues. They do have a good front line defence for sure but perhaps the most impressive piece of the evolution that defence coach Gareth Edwards has overseen is the secondary defence. When the first line of defence is broken and the opposition break through, the way in which the men in red scramble back, stop the main point of attack and then reorganise themselves to stop the line break becoming a try is really impressive. It means that if you do penetrate that first line of defence, attacking teams have to be clinical and take advantage straight away. That requires plenty of support players running good lines, lots of pace and pinpoint accuracy in terms of decision making and execution. Slip up on any of those and the Welsh will have slowed you right down and you’ll have to start all over again. And that’s not a compliment! They have ability and talent that come together every few games and they can give even the best in the world a real run for their money. They’ve torn Australia to ribbons, destroyed England and given New Zealand a scare. But their default level is actually very average. Many speak about how their coach Gregor Townsend has injected an attacking ambition into the side but the numbers don’t back that up. In this year’s competition they’ve scored 11 points against Wales, 10 against France and 13 against Ireland. That’s not exactly the performance of a high quality, attacking side. Even more damning, Scotland have scored fewer tries in this championship than Italy. Scotland have not struggled for possession in the past four games – they’ve had plenty – and they’ve had the territory to go with it. They are just not able to convert that into points. They seem to be able to get themselves into good positions but once they get to that opposition 22 they are out of ideas and cannot unlock defences. Yes, they’ve had key players out at different times and Stuart Hogg is still missing. But interestingly the most amazing thing about players like Hogg is the tries they score from long distance and when play opens up from kicking for example. In normal play, they are lacking creativity and threat. 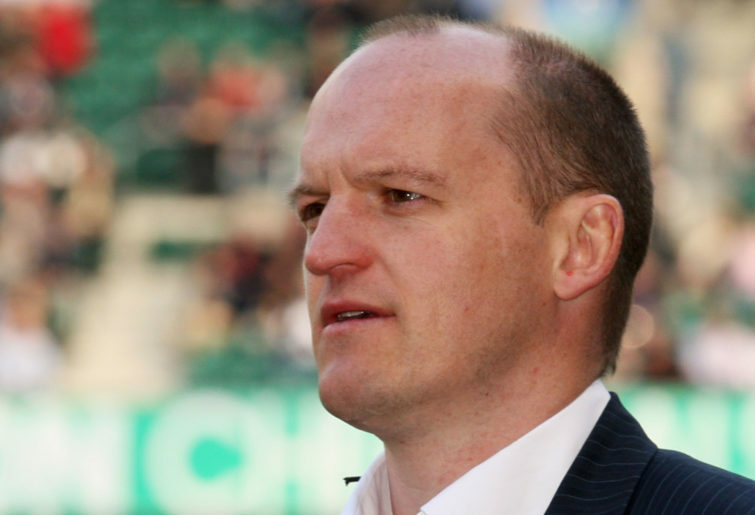 Does Dan Robson know what Eddie Jones’ plans for him are? England destroyed Italy this weekend. They used real power with some nice handling touches and ripped the substandard Italians to pieces in Twickenham. Is anyone surprised? Not really. Was this sort of result predicted? Yup pretty much. So if the result was so likely, wasn’t this a time for Eddie Jones to give game time to key players in his squad? Dan Robson has been the backup scrum-half to first choice Ben Youngs for the Six Nations but has been given so few minutes in the games – and on some occasions, no minutes at all even when results are beyond doubt. If Eddie Jones sees Robson – one of, if not the form scrum-half of the British Premiership for a number of years – as the understudy to Ben Youngs for the rest of the year and the World Cup, then why is he not giving him a chance to gain international match experience and start to form genuine partnerships with those around him? If Jones doesn’t know yet whether Robson is part of the squad for Japan, then why doesn’t he give him some decent game time to help him make up his mind? And if Jones doesn’t see Robson as a contender for the World Cup then why on earth is he wasting his time in the Six Nations squad? After a stunning 2018 there was lots of questions about how Ireland will cope with being the hunted and with the pressure of being regarded by so many as the best in the world. The way they were beaten at home by England in the opening round was evidence some said that they had peaked in 2018. While the Irish went on to win their next two games over Scotland and Italy, it was still obvious that Ireland were struggling to find that rhythm they are well known for. But against the French this weekend it felt like some of those key components that had taken them to great heights in 2018 were back and working well again. The team themselves executed their plans perfectly and built so much pressure on the French in the first half that at times it was almost awkward to watch. At the halfway point the French had been in the Irish 22 for a total of… five seconds! And that was as a result of a knock on! 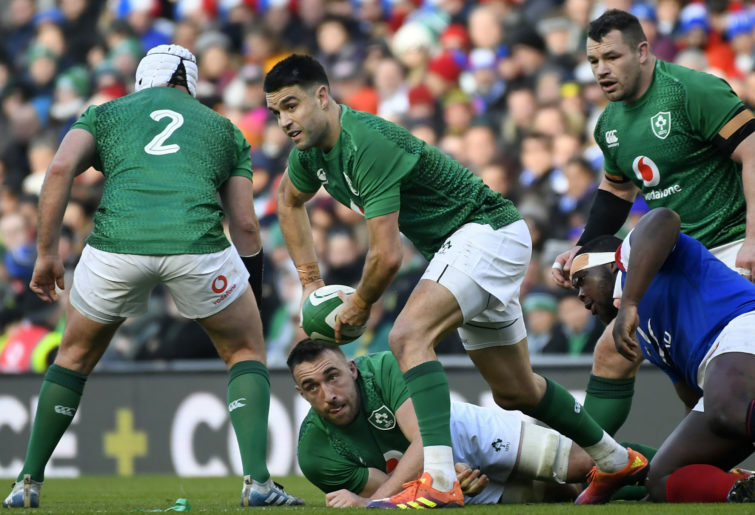 The Irish would have wanted to be ahead by more than three tries as a result of all that possession and territory but the way in which they score the points would have felt good. The line out and driving maul worked well and the partnership between Conor Murray and Johnny Sexton was getting back towards its best. Sexton specifically had a good game with one highlight being one of his trademark loop plays that not only led to him scoring a try but to two of the French defenders crashing into each other, so confused were they about which man in green had the ball. The Irish are definitely not back up to their 2018 standards yet. But they are on the way and the Welsh are likely to be wishing they hadn’t met them earlier. In a week where there has been lots of discussion about World Leagues and global international rugby calendars, the topic of relegation has come up time and again. For the Six Nations this is a touchy subject and apparently both the Scottish and Italian Unions made it clear to World Rugby that they would not support a World League where relegation was on the table. Now of course it’s hard to get frustrated at these Unions – it’s their job to protect their own players, fans and people rather than grow the global game or the game of Samoa. But when you look at the Six Nations, and especially the performance of Italy, it’s hard to make a case for their national side to still be in the competition without any threat of relegation. There’s been plenty of talk about how Georgia are ranked higher up the World Rankings than Italy and just as much about how in their last meeting in November 2018, the Italians won by 11 points. But think about it this way – if the Italians were at real risk of relegation from the Six Nations, would that change the way they train and play, especially in a do or die game? Perhaps it would inspire a new level of intensity that can only come from those under genuine threat. It’s a tough topic and a complex one at that. Dropping Italy from the Six Nations obviously doesn’t just mean that fans from the Home Nations and France will have to come up with other reasons for a long weekend to Rome in February each year. It’ll have a real impact on revenues for the Italian Rugby Union and potentially game engagement at a time when Italian clubs are starting to perform better on the Pro 14 stage. But just because it’d be bad for Italy, does that mean that they should be protected? There’s one round left and excitingly the top three sides are all in the hunt – when was the last time we could say that about the Rugby Championship? Wales are definitely the favourites and are in control – they beat Ireland and they win the Grand Slam. As England found recently, going to Cardiff to play Wales at any time is a brutal road trip but when a Grand Slam is at stake, Ireland are going to be walking into an absolute cauldron with no teflon in sight. This will be a great test of both sides as they prepare for the World Cup – how do they cope with the pressure of matches like this. Ireland are building momentum and it’s hard to bet against an Irish side that is in form. They’ve got great players all over the park and crucially their 9, 10 combination is better than the best the Welsh has to offer. But, again, just as England found, playing the Welsh in Cardiff is something different. England are also still in with a shout. Their game against Scotland kicks off last and so there is a chance that Wales will have already picked up the trophy. Of course, if the Welsh draw or lose then the English players will have a chance to win the competition with a victory over Scotland. If they get the chance you’d have to bet they will do it – in current form the Scottish are not up to coping with England at Twickenham but pressure does different things to different people. What’s definitely true though is that these high-pressure games are going to be of real value to all three sides as they look to prepare for the big dance later in the year.